When something like a number on a scale can take you from confident & hopeful to self-loathing & hopelessness, it’s time to break up with your scale. Believe me, I understand! We are all so conditioned to want to see that number go down, but your body weight is only one measure of your progress. Are you less moody or depressed? Do you recover faster from exercise? Have your symptoms or medical condition greatly improved? 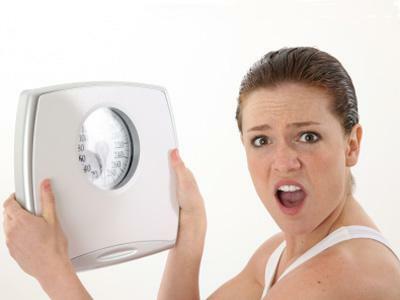 Just because the number on the scale hasn’t moved enough for your liking does not mean your program is a failure. It means there may be other things going on, like changes in body composition, that aren’t necessarily being reflected by the weight of our body. So, be patient and feel good that you are doing something positive for your health and know that, eventually, it will show up on the scale. I have gained weight since thanksgiving Partly becasue of food intake and mostly becasue of lack of exercise. SO i changed all of that. It was a fun break but now its back to business. The past 3 weeks. I have given it my all. The day before yesterday I was giving it all back because nothing changed Even with 2 classes on mon tues and sat and a class on thurs too..finally today it went down 4 lbs…this is with out extreme measures. I am eating my own cooking and using all of the other tools you taught me. Plenty of water, good healthy food low in carbs and exercise. Thats it.. no pills no gimics just doing what you taught me. thanx for todays message it couldnt have come at a better time! Sometimes, I feel like other bloggers have ESP. Seriously! Just what I needed! Thank you! It does feel like that sometimes, Marcia!